Dianne Macaulay sits at a picnic table in front of the brand new, $42-million St. Joseph’s Catholic High School at the northeastern edge of Red Deer. Across the road, new tracts of suburban housing and retail centres gradually take over slow-rolling farmland. Built to accommodate 900 students, the school will open to about 500 students this September, alleviating a crush in the local separate school board. St. Joseph’s is a beautiful facility and much needed because of Red Deer’s steady growth, but Macaulay, a trustee with the public board and the mother of three children who have been through the public system, says the school is also a flash point in a long-simmering debate about education in this province. The Catholic school sits on a 56-acre site that will also eventually house high schools for the public and francophone boards too. A plan hashed out in 2014 between the city, the province and the three boards would have seen gyms, libraries, theatre stages and science labs shared. Instead, in the fall of that year, the Catholic board pulled out, citing a policy forbidding its students from sharing facilities with other children, a policy that had been in place since 2003 but which has frequently been breached. “It turned from a joint-use facility to a campus with three separate schools, all within three months,” says Macaulay, her voice rising. Every community with public and separate schools has two boards of trustees. Two superintendents. Two head offices. To Macaulay, the Catholic board’s stance wastes public resources. To others, the situation in Red Deer is just one of many issues that cast doubt on whether separate school boards can continue to be justified in Alberta. Why, in our democratic society, does one religious group have its own, publicly funded school system? Our secular society often clashes with Catholic theology, and religious public schooling would seem at odds with the broader aims of civil society. “When kids play school sports, they come from all boards,” Macaulay says. “If they can play a sport together or go to the playground together, why can’t they go to a school and all be together?” And separate schools may even be unconstitutional. A recent court case from Saskatchewan held that spending public money for non-Catholics to attend Catholic schools breaches two provisions of the Canadian Charter of Rights and Freedoms. It’s a discussion fraught with controversy and therefore one that politicians avoid. But that may change soon. It’s impossible to put an exact dollar figure on the cost of having two publicly funded school systems, but areas of duplication are obvious. Every community with public and separate schools has two boards of trustees. Two chief superintendents. Two sets of deputy superintendents. Two board head offices. Beyond spending on the instruction of children in 2015–2016, Catholic boards in Alberta spent $229-million on operations and maintenance, $64-million on transportation and $59-million on administration. Much of these costs would be eliminated in a single system—for example, in rural communities where neither the public nor the Catholic school is at capacity and where one school building could do the job currently done by two. Fevin became active in the education debate in 2010, when parents in Morinville, north of St. Albert, were lobbying the local Catholic board to provide a secular option. At the time, the town had only Catholic schools. The families pushed for a secular school, eventually turning to the media and the courts to press their case. After two years of petitions and legal wrangling, Morinville Public School opened in fall 2011. Since then, attendance has gone from 65 to 790 students and the school has added 15 modular classrooms. A new, bigger school is in the works. David King, a former Alberta education minister who is leading a campaign for a single system, highlights professional development focused on Catholic teaching as an example of extraordinary spending by separate boards. Catholic boards, for instance, support teachers to take a master’s in religious education. “If you’re a science or math teacher, a master’s in religious education is not directly related to refining your pedagogical skills,” he says. Secular society clashes with Catholic theology. Religious public schooling is at odds with the broader aims of civil society. 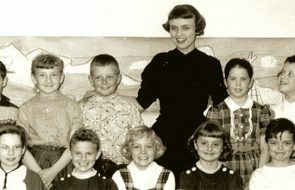 King was education minister under premier Peter Lougheed from 1979 to 1986 and then spent two decades as the executive director of the Public School Boards’ Association of Alberta. He says the dual system has a particularly disruptive effect in small communities and rural Alberta, places generally suffering from declining enrolment. “They can’t [adjust to] fragmentation as well as a growing urban community can,” he says. In other words, if a community has only 100 school-aged children, dividing them between parallel school systems strains the resources of both. When Alberta and Saskatchewan were carved out of the Northwest Territories in 1905, political expediency ensured that the protection for Catholic schools was extended into the new provinces. The previous year, Prime Minister Wilfrid Laurier had been struggling to secure Quebec’s Catholic vote in a close federal election. To build support, Laurier agreed to enshrine the right to publicly funded Catholic education for people living in western Canada, where the population was growing. Most of the people settling the West wanted a single, secular school system, however, and the move led to the resignation of Laurier’s minister of the interior—and his western lieutenant—Winnipeg’s Clifford Sifton. Today, a publicly funded religious school system would not even get off the ground. It would fail labour laws, because Catholic boards’ hiring practices discriminate against non-Catholic teachers. It would not get past human rights legislation, which prohibits discrimination on the basis of religion. In fact, in 1999, the UN Human Rights Committee found that Canada’s separate school system is discriminatory, concluding that if a state chooses to make public funding available for religious schools, it must do so equally for all religions. The constitutional, legal and ethical issues raised by separate school boards were brought into stark relief in April 2017 in a decision of the Saskatchewan Court of Queen’s Bench. In 2003 a public school board had decided to close a K–8 school in the village of Theodore because the cost of keeping it open could not be justified by the low enrolment. A group of Catholic parents petitioned the minister of education to form a Catholic board to keep the school open. The minister consented and the same school reopened in the fall as a Catholic school with 42 students, only 13 of whom were Catholic. The public board sued, arguing that the constitutional protection of separate schools does not include the right for the school to receive government funding for non-Catholic students. In the Theodore decision—a case officially known as Good Spirit School Division No. 204 v. Christ the Teacher Roman Catholic Separate School Division No. 212 and Government of Saskatchewan—Justice Donald Layh wrote that the community both saved its school and prompted one of the most significant lawsuits in Saskatchewan’s history. Will the Supreme Court rule against public money for non-Catholic students in separate schools, thus forcing Alberta’s hand? The Theodore decision made waves in the three provinces that still have separate school boards: Saskatchewan, Alberta and Ontario. Alberta in particular has legislation virtually identical to its neighbouring province’s. Saskatchewan Premier Brad Wall has vowed to fight the decision, and should it be upheld by the Saskatchewan Court of Appeal, the case will likely end up in the Supreme Court of Canada. Its potential impact on education in Alberta can be reflected in the student population. This year 470,000 children will attend public schools in Alberta, and 166,000 will attend separate. 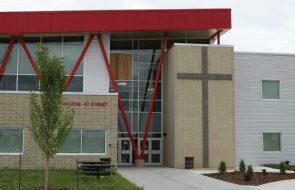 Non-Catholics make up 70 per cent of the student body at some Catholic schools (the court in the Theodore school case found the Saskatoon and North Battleford averages were between 25 per cent and 30 per cent). Denying public funding for those students would throw the school system into disarray, as thousands of students would migrate from Catholic to public boards. Some schools would empty out; others would stretch beyond capacity. Ironically, the province for which Catholic schools were initially granted, Quebec, eliminated separate schools and opted for a single public system in 1997, the same year Newfoundland and Labrador did. The changes were not universally supported and caused considerable angst during the transition, but they have endured. Few Quebecers argue publicly for a return to the old days. The governments of Alberta and Ontario are no doubt following the progress of the Theodore decision closely, as are the various school boards. It seems inevitable the case will go to the Supreme Court, a process that will take years. Local politicians may stay on the sidelines for now. But if the Supreme Court rules against public money for non-Catholic students in separate schools, thus forcing Alberta’s hand, expect the myriad other arguments against Catholic schooling to surge to the fore. 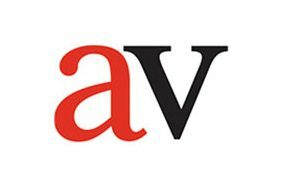 Michael Ganley is the former editor of Alberta Venture. He lives in Edmonton with his wife and three children.